Denton’s hard-won experience with fracking has taught us that we need to ban it within our city. A recent blowout in Denton lasted 14 hours, releasing hundreds of pounds of toxins and thousands of gallons of hydrochloric acid and proprietary chemicals kept secret even from first responders. Nearby homes were evacuated. With 281 gas wells in town, this could happen again all over the city. We don’t even let bakeries in neighborhoods. Why this? But the hazards aren’t just about accidents. A new report confirmed the presence of benzene emissions at frack sites near playgrounds. Fracking, or hydraulic fracturing, is a major reason why our area has the worst air quality in the state. 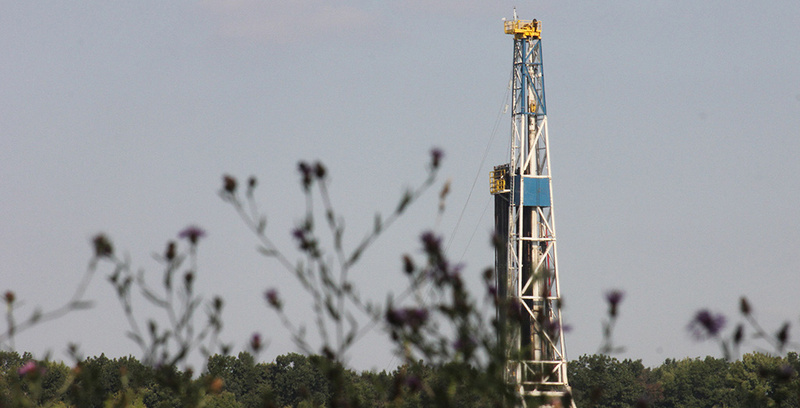 Arsenic and fracking chemicals were just found in water wells near Denton. The chemicals weren’t there before fracking, and they weren’t in areas without fracking. To date, assuming each well has been drilled only once, fracking has contaminated over 1.6 billion gallons of Denton’s freshwater. Numerous peer-reviewed studies show the dangers of fracking, confirming what Denton families near drilling sites have long complained of: headaches, nosebleeds, breathing difficulties, nausea and sleepless nights. Even the CEO of Exxon Mobil sued to keep fracking away from his home, citing well-grounded concerns over property devaluation. The opposition alleges that the ban will apply to all drilling. They also call for responsible drilling — who could be against that? There are just two problems with their arguments. First, the ban prohibits fracking, not drilling. Second, we have responsible regulations that require a 1,200-foot buffer between frack sites and homes. It took years to craft those rules. After we were done, and despite all our work, fracking continued less than 200 feet from homes. “Responsible drilling” is doublespeak designed to short-circuit critical thinking about the thoroughly irresponsible reality of fracking in Denton. The ban is the only responsible option left. Without it, we’ll see mass neighborhood industrialization. The industry’s own report shows that the hazards are not worth the returns. Fracking constitutes a measly 0.2 percent of our economy, 0.25 percent of our workforce and 0.5 percent of our tax revenue. Denton residents get just 2 percent of the royalties but 100 percent of the risks. Despite the industry’s best attempts at deception and exaggeration, its numbers show that fracking contributes just $20 (out of a total of $7,700) per student in Denton. That’s about 0.2 percent of the school district’s budget. The industry’s own numbers also show that every acre of residential development generates four times as much tax revenue for our roads and schools as an acre of fracking. Every acre of fracking means more pollution and less economic prosperity. Fracking is an anemic, economically unproductive use of our land that leaves devalued, blighted scars forever. The ban is not illegal. There are more restrictive valid ordinances in Texas. Mineral owners can access their property through conventional drilling. There are 18,000 conventional wells in this area. There is no state preemption involved here. And by treating fracking as a business practice rather than as a development issue, the ban is able to solve the vested rights problem. Finally, if you crammed all of Texas’ gas wells into the 7 percent of its land area that is developed, Denton would still have three times as many wells as the average city. We’re doing far more than our fair share for energy independence. And our existing wells will continue to produce gas after the ban. Besides, the claim that drilling in Denton is helping the U.S. become more energy independent is a red herring. The U.S. only imports oil, not natural gas, from the Middle East, and Denton only produces natural gas. Water scarcity is the real national security concern here anyway. A future without fracking in Denton will make the city healthier, safer and more prosperous. Sponsor Content: Preschool for all?